Frank Worthington's 1974-75 FKS Publishers card, whilst he was at Leicester City. 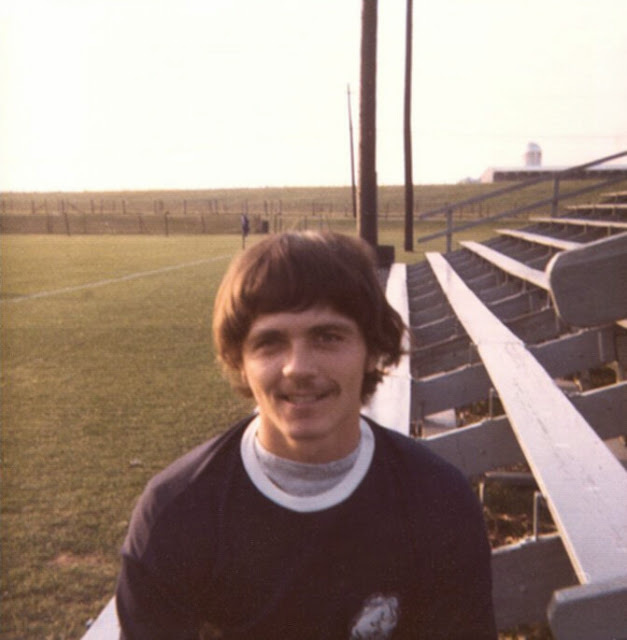 A photo of a young Randy Garber, whilst at Penn State, where he was an All-American. 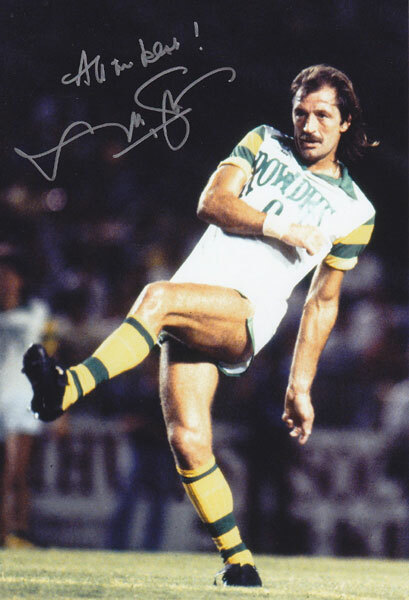 Randy joined the Rowdies in 1975, as a second round draft choice. 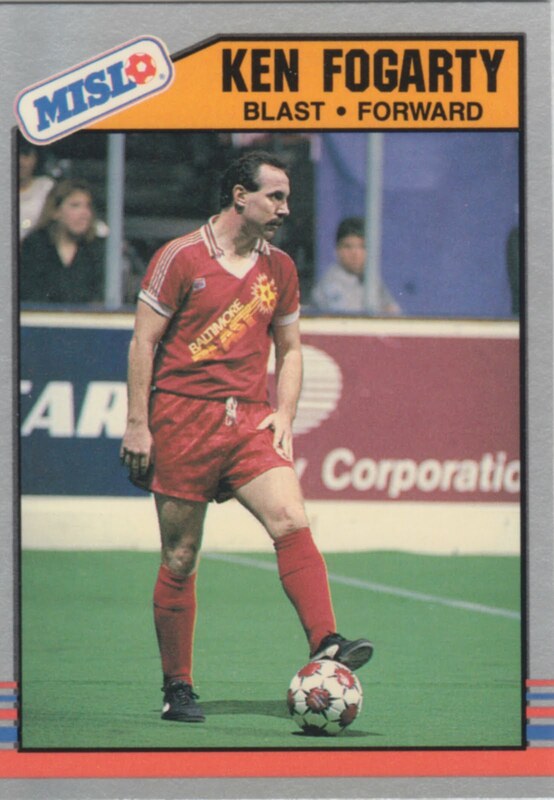 Ken Fogarty's 1989-90 MISL card, produced by Pacific Trading Cards, whilst he was at the Baltimore Blast. 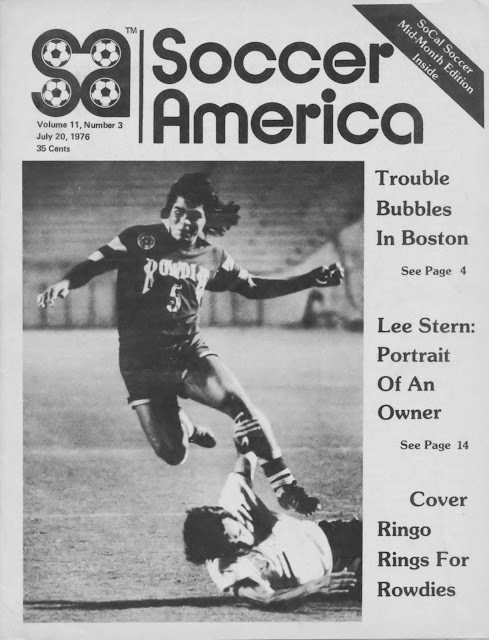 Highlights of a North American Soccer League indoor game between the Florida rivals the Tampa Bay Rowdies and Ft. Lauderdale Strikers played at the West Palm Beach Auditorium on November 27, 1979 and televised on WTOG-TV 44. 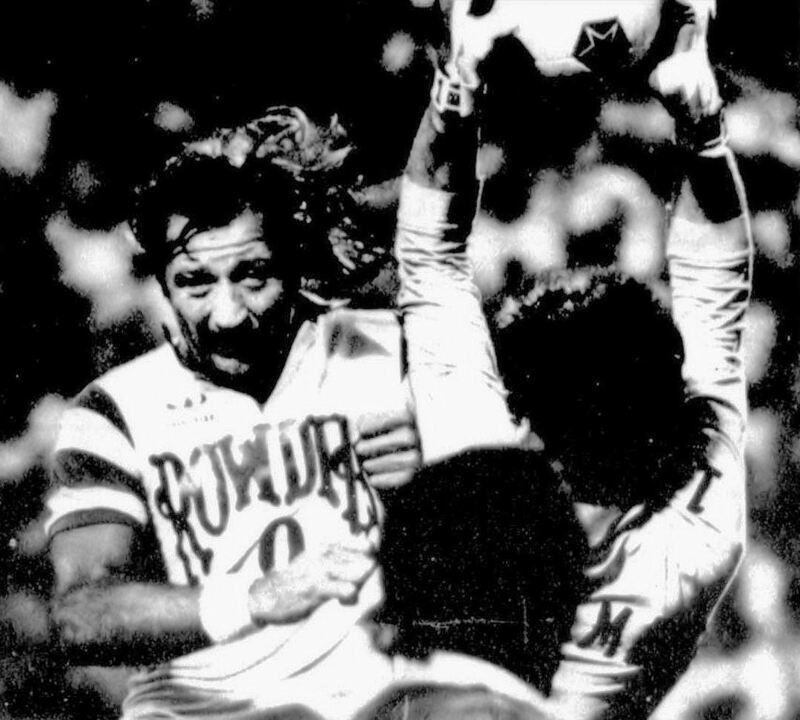 A press photo from 1977, the info reads: "TPP052902-5/29/77- TAMPA, Fla.: Italian soccer star Giorgio Chinaglia, one of the new teammates for West Germany's Franz Beckenbauer, who joined the New York Cosmos several days ago, tries to get around Tampa bay Rowdies' Mike Connell (l) while Rowdies' Rodney Marsh watches the action from behind Chinaglia; Chinaglia was the Cosmos' leading scorer last year." A recent photo of Winston DuBose relaxing at home. Many thanks to Winston for this photo. A great photo of Derek Smethurst playing for the Tampa Bay Buccaneers of the NFL, in 1977 at Tampa Stadium. Derek Backman takes shooting practice, during a 1988 training session. Chicago Sting's Karl-Heinz Granitza dives to the floor, after a challenge be Neill Roberts, during the 1980-81 indoor game. Derek Smethurst in action at Tampa Stadium, on the front cover of the June 21st, 1977 edition of 'Soccer America'. Many thanks to Jan Reinertsen. 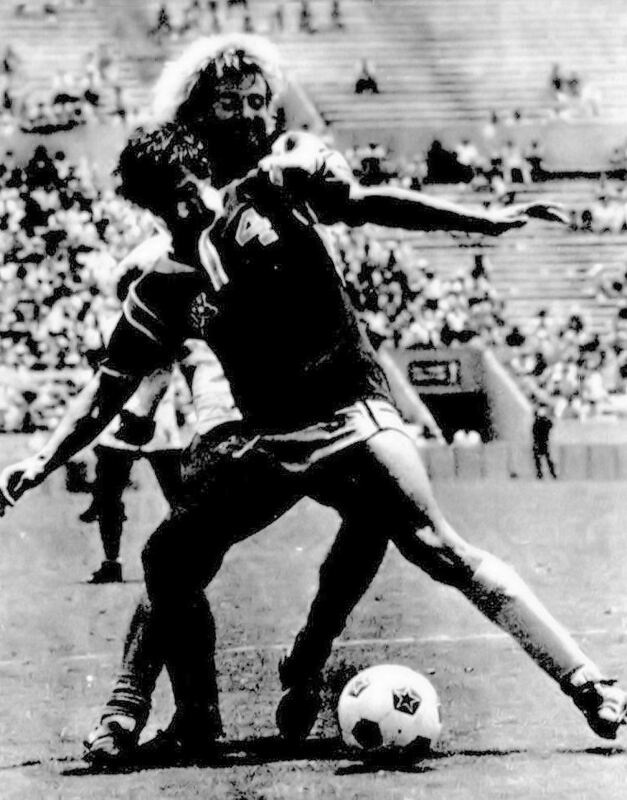 Rodney Marsh tries to get at the ball, but Philadelphia Fury's Nikolic blocks his way, at Tampa Stadium in 1979. 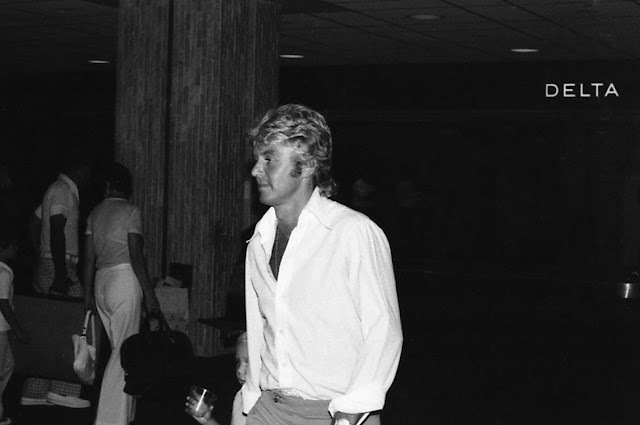 John Sissons, arriving back at Tampa International Airport on the evening of August 26th, 1975, after winning Soccer Bowl '75. 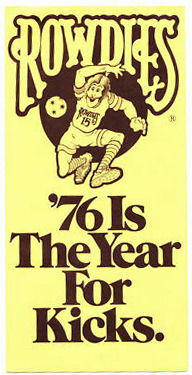 A 1976 ticket pamphlet, with the wording "'76 Is The Year For Kicks." 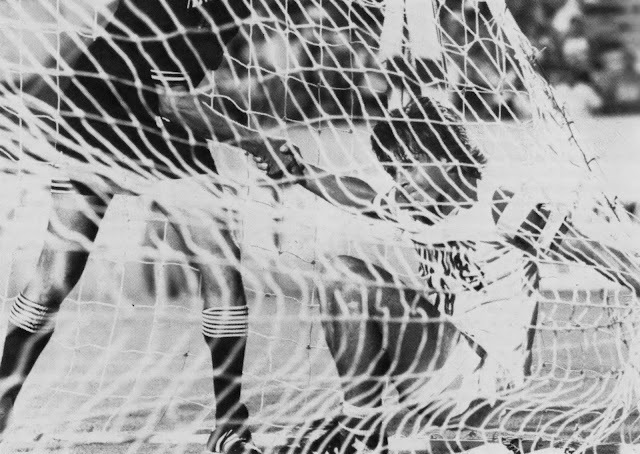 Tatu is helped out of the net by the Referee, in 1984. 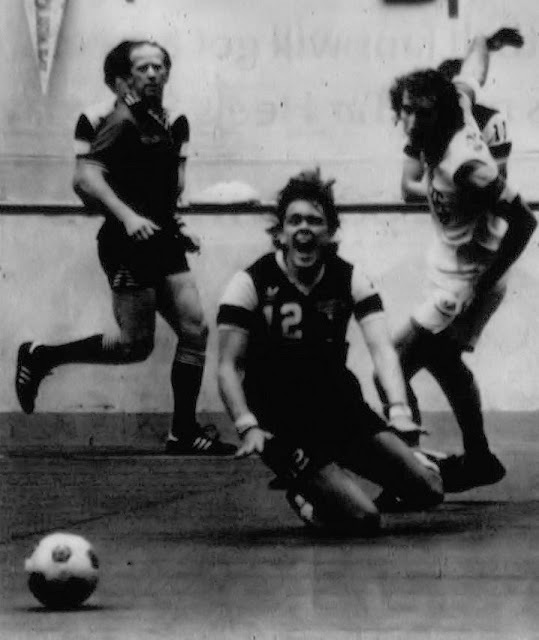 Rodney Marsh gets held back by a Washington Diplomats' player, during a 1976 indoor game. 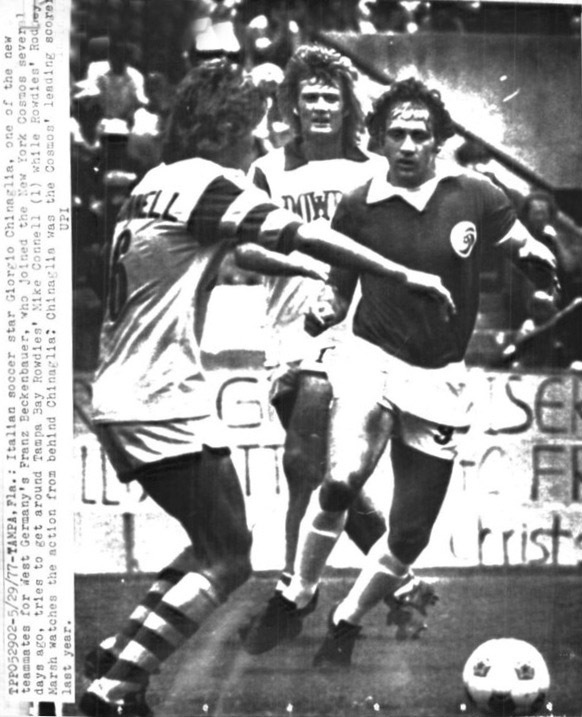 A ticket stub from Soccer Bowl '75, against the Portland Timbers, at Spartan Stadium on Sunday, August 24th. 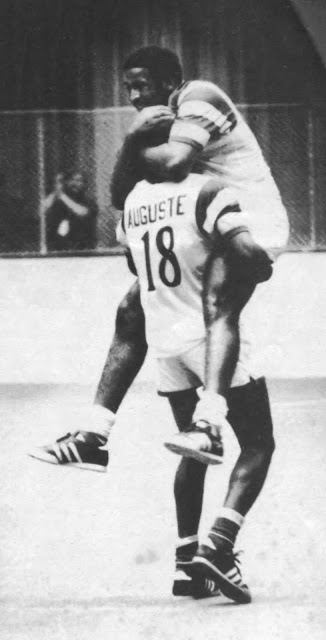 Arsene Auguste and Clyde Best, celebrate a win over the Dallas Tornado, during the 1976 NASL indoor Championships. 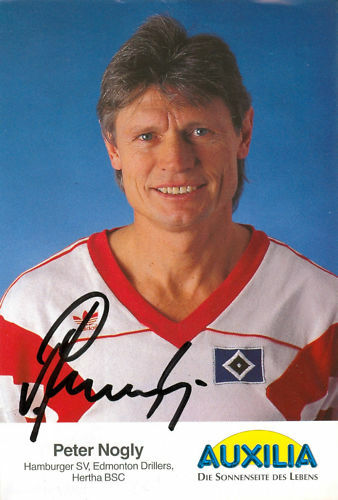 A signed AUXILIA promo card for Peter Nogly, then of HSV Hamburg, Germany. 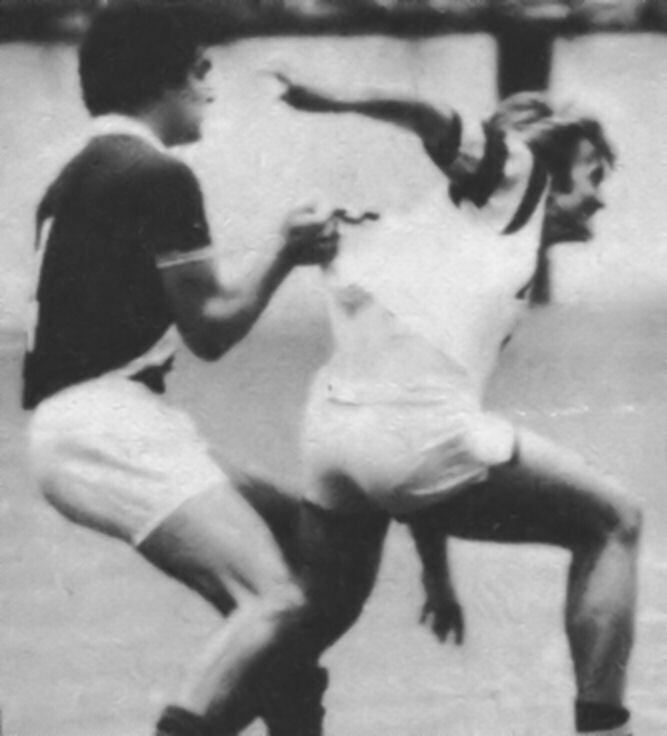 Frank Worthington challenges New York Cosmos' Hubert Birkenmeier for the ball, in 1981. 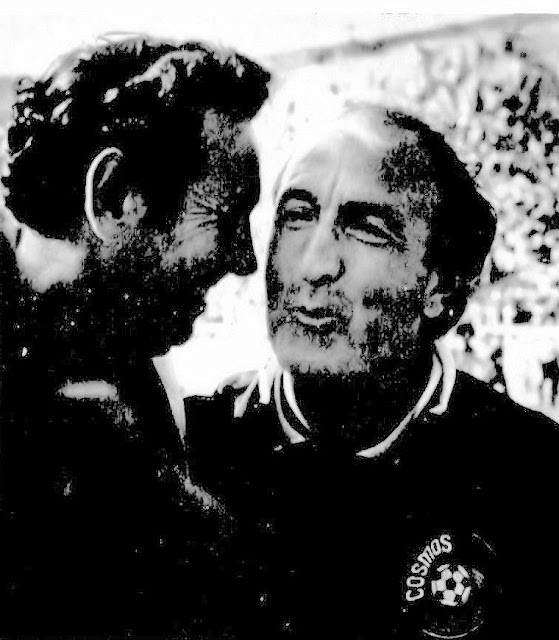 Coach Gordon Jago has a word with former Rowdies' and New York Cosmos' Coach Eddie Firmani in 1979. 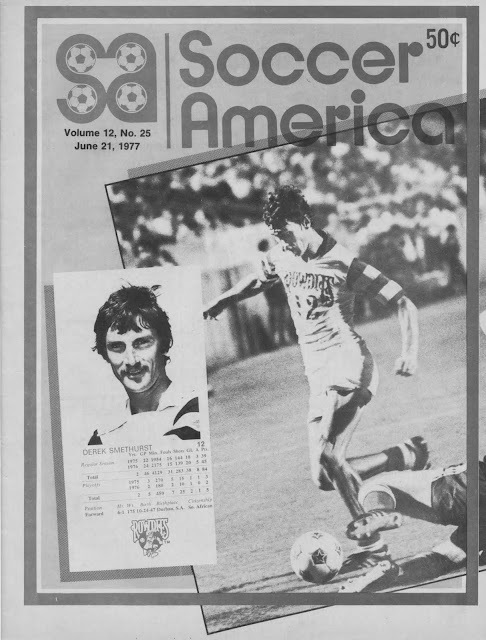 Ringo Cantillo in action against the Toronto Metros-Croatia at Tampa Stadium, on the front cover of the July 20th, 1976 edition of 'Soccer America'. 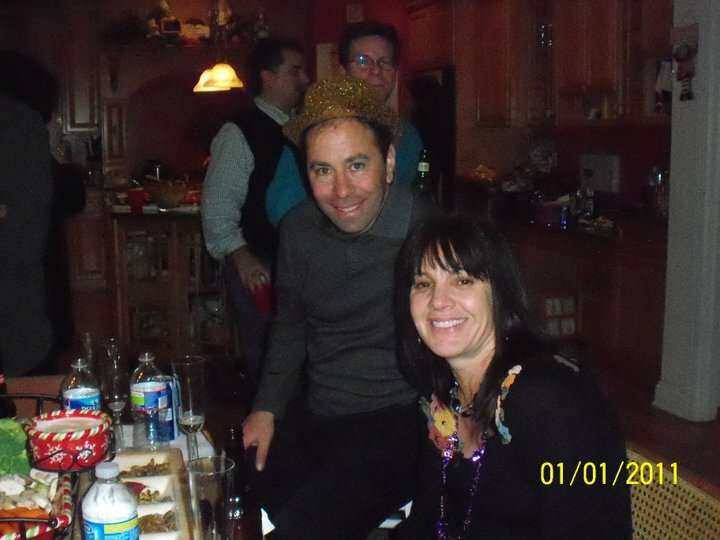 Here is a photo of Nick Mangione, enjoying the New Year with friends. 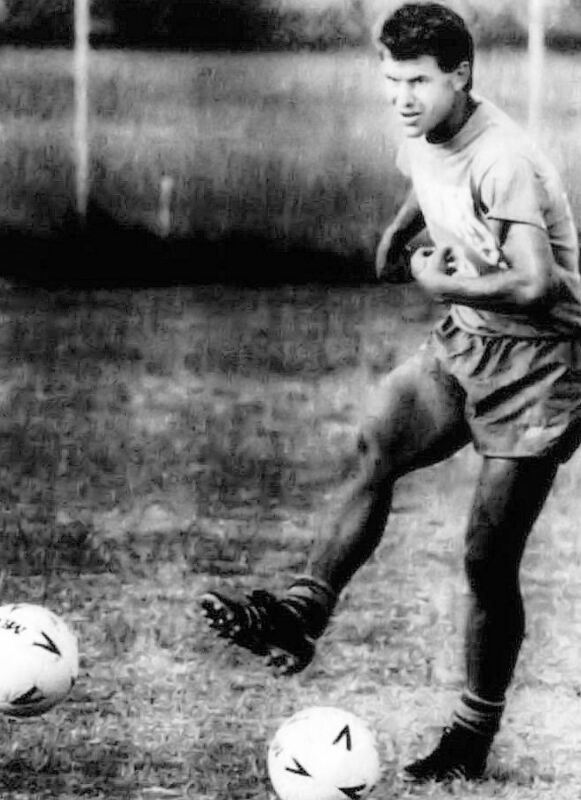 Nick played for the Rowdies during the 1986-87 AISA season. Many thanks to Linda Pummery-Geerling for this photo. From Dan: "Hi Ian, this is Dan again. I do remember a member of Kansas, or the entire band, being acknowledged as being at at least one game, definitely '78 or '79. There was talk of a Kansas show after the game (probably a rumor) - this is what I remember for sure. Vaguely, I rember reading an article (probabily the St. Petersburg Times) about this member or members being huge fans, and the picture of the band (same as the one on your site.) I'm almost certain my information is correct, though where I learned all this is fuzzy." From Kathryn Sherman: "He's lived in Tampa most of his adult life. He's not originally from here though. Last known, he was still living here as of 2004. Hope this helps. This photo was probably taken around 1978 or 79. I was in high school and yep, everyone wore them." 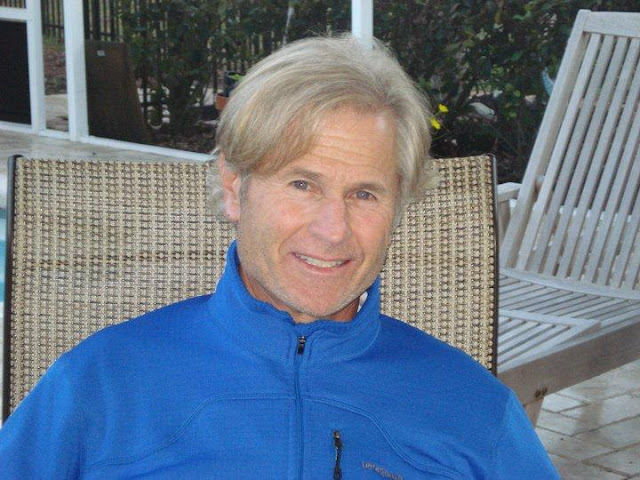 And finally from Kenn Tomasch: "Well, if that guy was a Tampa resident, that would explain a lot. Apparently he was in this band, which was based in Tampa for several years. 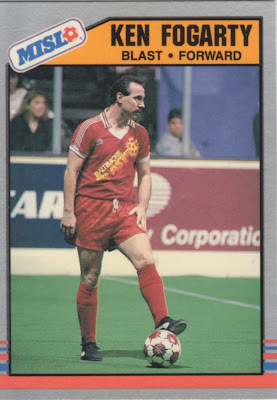 So he must have been a Rowdies fan or a Wes McLeod fan or both." Thanks to everyone for their help in this matter. A ticket stub from the game played at Tampa Stadium, against the Washington Diplomats on June 9th, 1979. 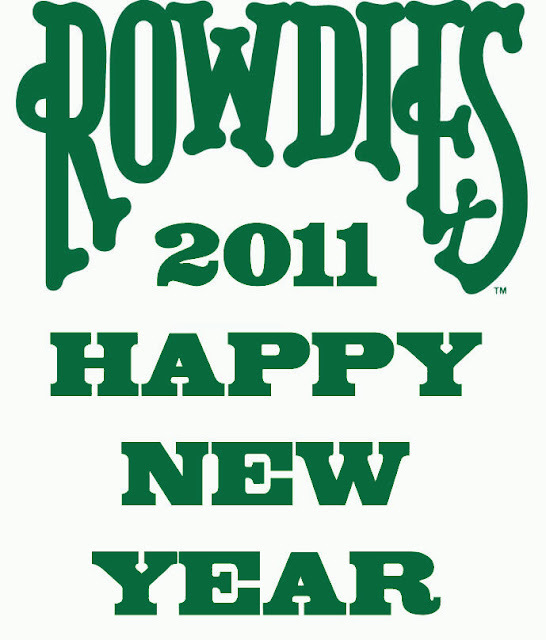 The Rowdies won this game 1-0. Memphis Rogues' Tony Field goes flying after a tackle by Mike Connell, at Tampa Stadium in 1978. 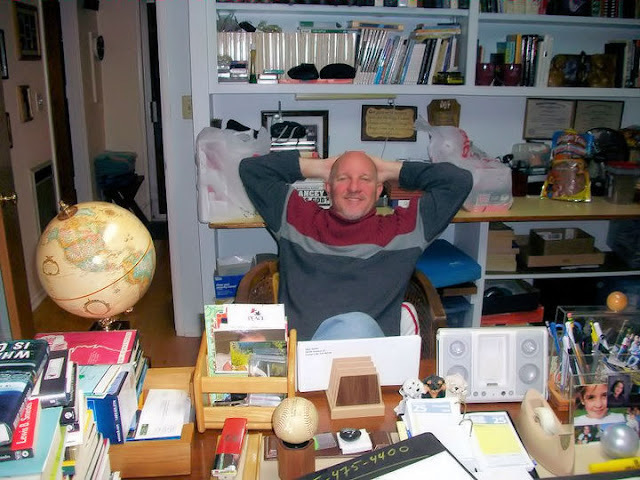 A recent photo of former Rowdie Brad Smith, relaxing at his desk. Many thanks to Brad for this photo. 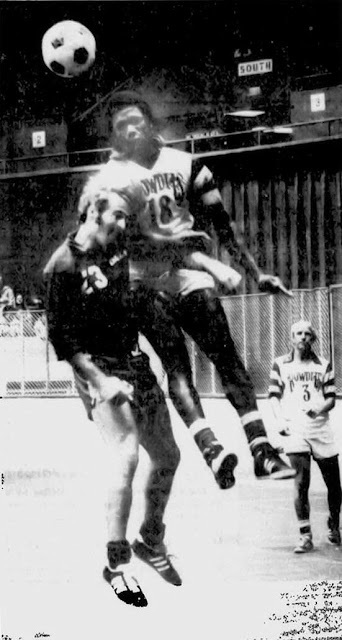 Arsene Auguste in an heading duel with Dallas Tornado's Charles Myers, during the 1976 indoor season. 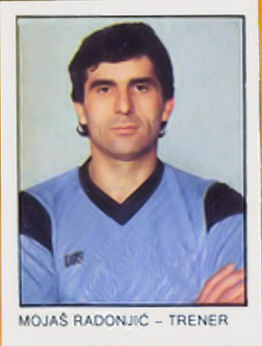 A sticker of Mojas Radonjic, when he was Coach at FK Buducnost (YU) in 1989/1990. 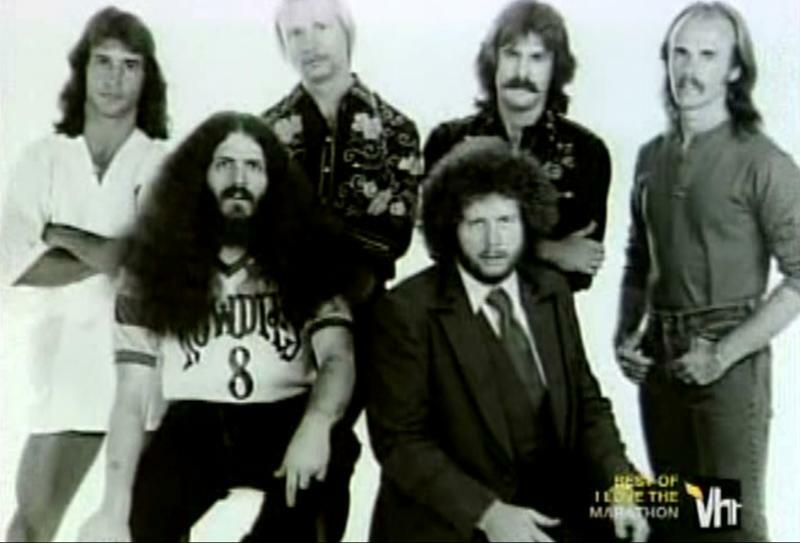 A good friend of the Rowdies Blog - Kenn Tomasch, sent me this wonderful photo of American rock band Kansas, which were very big in the 1970's. He asked me this question, "In this photo, co-lead singer and violinist Robby Steinhardt is wearing a Wes McLeod #8 Rowdies jersey. I have no idea why. Have you ever seen this before and do you have any idea why the guy would have been wearing it? I don't know when the photo was taken, but it had to have been between 1975 (when the Rowdies were born, obviously) and 1982 (when Steinhardt left the band)." My answer was, that I had never seen this before, and couldn't shed any light on this.